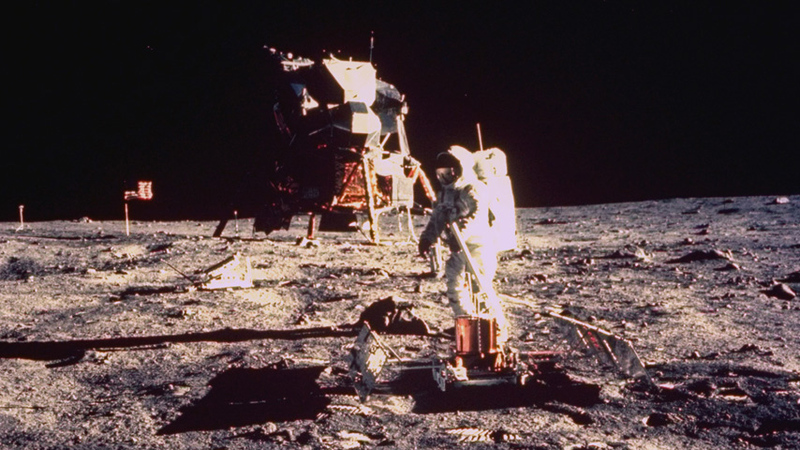 The extraordinary story of Apollo 11's lunar landing. What they found on the Moon and how they made it back to Earth. Apollo 11 landed on the Moon on 20th July, 1969. The Apollo 11 astronauts conducted various experiments during their 24 hours on the surface of the Moon. Samples from the Moon's surface support the theory that the Moon was formed from our planet. When they returned to Earth, the Apollo 11 astronauts spent three weeks in quarantine under the 'Extraterrestrial Exposure Law'. Man had finally made it to the Moon. However, getting to the Moon was only half the challenge – now the astronauts had to perform the experiments that were the scientific purpose of the trip.